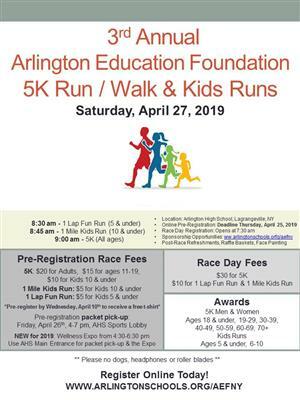 The Arlington Education Foundation Scholarship application for 2019 is now available. The application deadline is May 2, 2019. Click here for details. 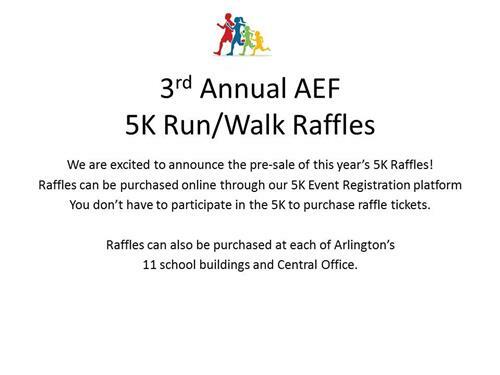 Our 5K event registration is now open online. Remember there is an exciting school building challenge. The school with the greatest number of participants will win the AEF Cup for the next school year!